A must have for any home baker! 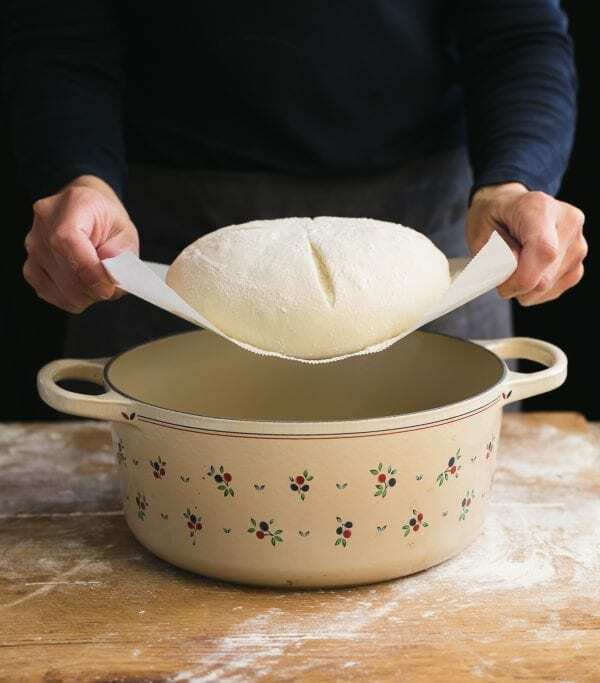 Parchment paper prevents loaves from sticking to the bottom of the pot, and makes moving and transferring the dough a breeze. Heads up: not all brands are non-stick. My favorites include Reynolds (pictured here) and Kirkland (from Costco).